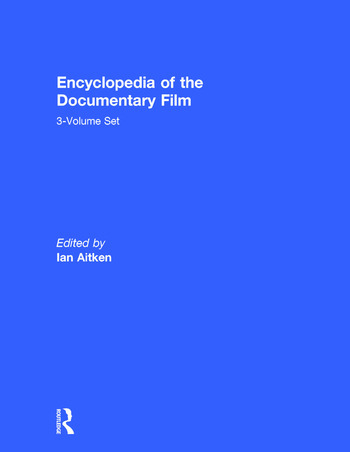 The Encyclopedia of the Documentary Film is a fully international reference work on the history of the documentary film from the Lumière brothers' Workers Leaving the Lumière Factory (1885) to Michael Moore's Fahrenheit 911 (2004). This Encyclopedia provides a resource that critically analyzes that history in all its aspects. Not only does this Encyclopedia examine individual films and the careers of individual film makers, it also provides overview articles of national and regional documentary film history. It explains concepts and themes in the study of documentary film, the techniques used in making films, and the institutions that support their production, appreciation, and preservation.